THE INFORMATION SITE Wikipedia has taken the decision to ban users from including Daily Mail links as referencing to their website’s pages. The site aims to be an online encyclopedia, allowing users to edit pages to include information they feel is missing, and a reference as to where that information originated. The Wikimedia Foundation, which runs Wikipedia but does not control its editing processes, said that volunteer editors on English Wikipedia had discussed the reliability of the Mail since 2015. 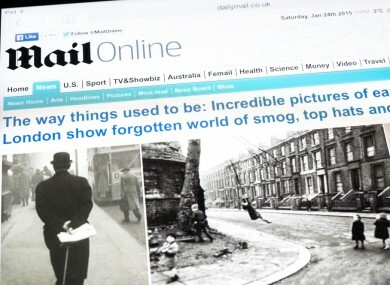 In an online forum where volunteers of the site debated whether or not the site should be banned, people defended the Daily Mail, saying they were a reliable source of news for some subjects, and that there was no justification for a blanket ban. In their assessment of the debate, administrators said that most people who supported the ban based it on the Mail’s “reputation for poor fact-checking, sensationalism, and flat-out fabrication”. Consensus has determined that the Daily Mail is generally unreliable, and its use as a reference is to be generally prohibited, especially when other more reliable sources exist. As a result, the Daily Mail should not be used for determining notability, nor should it be used as a source in articles. An edit filter should be put in place going forward to warn editors attempting to use the Daily Mail as a reference. According to Wikipedia, there are multiple thousands of existing links to the Daily Mail currently on their site. Volunteers are being encouraged to review them, and remove/replace them with other links. Email “Wikipedia bans Daily Mail links as references”. Feedback on “Wikipedia bans Daily Mail links as references”.